During the course of a marriage or de-facto relationship, one or both of the parties involved may receive a gift in the form of an inheritance. The intention of the loved one or family member leaving the inheritance is almost always to make life easier for their beneficiary and to try and help ease any financial burden. Quite often, the gift may be used to help pay off a personal loan or be paid towards a mortgage to reduce debt – particularly when house prices and household debt are at an all-time high! What happens, however, when the person who received the inheritance then separates from their partner and the money has been consumed in the joint asset pool? How is the inheritance treated? 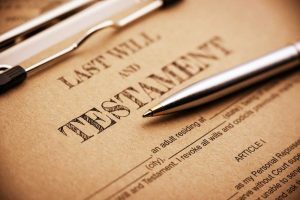 In a family law dispute, the way in which an inheritance is treated will often depend upon when it was received. If the inheritance was received post separation, it is unlikely that it will be considered as part of the join asset pool. It may however still have an impact on how much you are entitled to in the property settlement because your financial situation post separation would be significantly improved. If the inheritance was received earlier in the relationship, then it will probably be considered as part of the joint asset pool. If that is the case, you can argue for an adjustment to be made to your entitlements in the property settlement as a result of the contribution you made to the joint assets. If this is granted, however, the adjustment rarely matches the original contribution on a dollar-for-dollar basis. It is important to note that inheritances are usually treated differently according to the individual situation and dealt with on a case-by-case basis. If you are currently experiencing a family breakdown and would like to know what will happen to an inheritance that you or your partner have received, speak to your family lawyer for advice. If you are entering into a new marriage or de-facto relationship and would like to try and protect an inheritance in the event of a separation, your family lawyer can work with you to determine the most appropriate way to do so.